shopspaViolet is Serious Skin Care, Serious Fun: What Would Bambi Do? Li Lash ! What Would Bambi Do? Li Lash ! It’s true. I actually had to trim 3 of my eyelashes today! I had been using Latisse for a while despite the contradictions and controversy, but then got turned on to an incredible product called LiLash . Oh my, this stuff is like lash growth on steroids! One tube of LiLash costs the same as Latisse, but it gets you a 6-month supply versus only a 30 days. 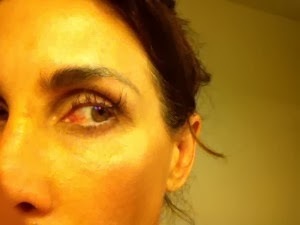 Unlike Latisse, there is no possibility of getting dark spots in light-colored eyes (which is scary!) 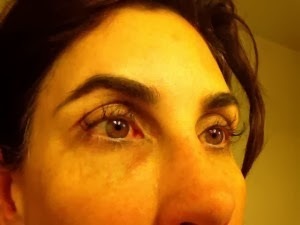 or darkening of the tissue along your lash line. In fact, the plastic surgeon who visits Spa Violet monthly to administer Botox and fillers was amazed at my lush lashes (she even left with a tube of it). Check it out for yourself – I swear these lashes are REAL! Cheers.